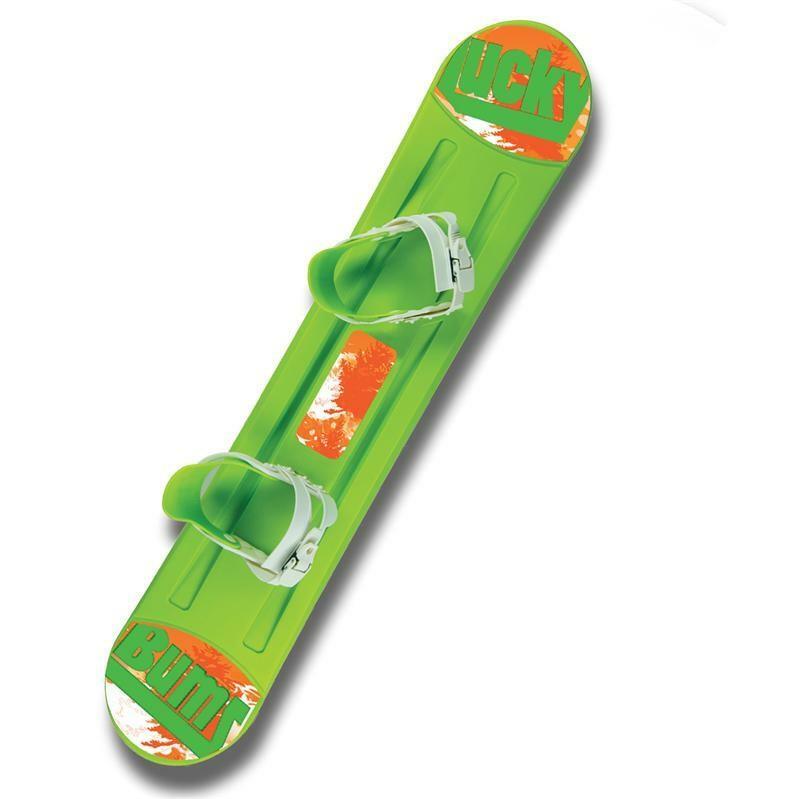 The Lucky Bums Beginner Snowboard is a great choice to introduce kids to snowboarding in the back yard or on the nearby sledding hill! 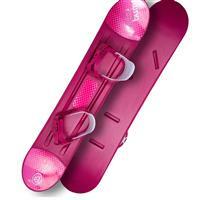 Smooth bottom plastic snowboarding with traditional snowboard bindings for backyard fun and the nearby sledding hill. Rugged design includes pre-mounted adjustable bindings to accommodate snow boots and durable latch system to ensure a secure fit. Ski the frustrating sandal strap design and experience the Lucky Bums unique design with real bindings a smooth bottom and traditional snowboard cut. With no metal edges, this plastic snowboard is a great introduction to snowboarding and a wonderful holiday gift! Recommended for ages 9 and up and not for use at mountain ski and snowboard resorts. Please note: Lucky Bums graphics can change from season to season. Bought as a gift. It seems like it will be good for backyard fun. The bottom is a bit scuffed up, not sure if due to packaging or maybe was floor model.